If the main attraction doesn’t show up, the kids still want to see a comedy show! So, Pete’s gonna make one up and have the kids (and adults) help write, direct, and design it. What could possibly go wrong? 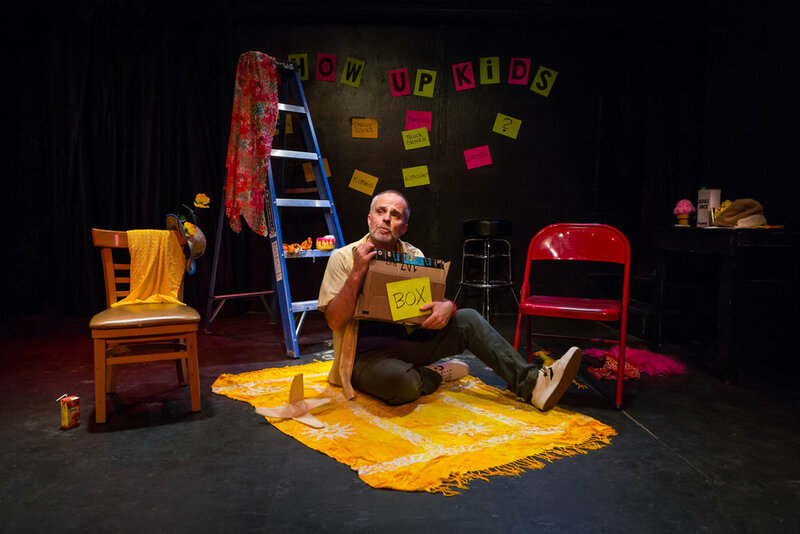 From Peter Michael Marino, the creator of the critically acclaimed improvised comedy 'Show Up' comes a fresh, fun, interactive twist on the traditional kids show for kids ages 3-10. Running time 60 minutes. Directed by Michole BiancosinO & The Kids. Music by Michael Andrew, Lyrics by Peter Michael Marino. FOLLOW US ON FACEBOOK and INSTAGRAM TO KNOW WHEN AND WHERE TO SHOW UP NEXT TIME!